Henry Gordon has been appointed as Senior Crown Counsel to Montserrat. His role will entail prosecuting some of the most serious cases in the British Overseas Territory and assisting the team in maximising its ability to prosecute offences. Henry starts on 4th June 2018 and will remain an Associate Tenant at Drystone during his two-year post. Known for his excellent client care, exact advice and skilful advocacy, Henry is a criminal law and regulatory specialist whose burgeoning practice has typically included cases of conspiracy to commit bank robbery, the importation of cocaine, multinational credit card fraud, cheating the revenue, extensive graffiti damage, the dumping of toxic waste, child cruelty, large-scale disorder and serious sexual assault. Instructed to appear in cases covering the full breath of offences, in recent years Henry has developed extensive experience in cases involving ANPR (automatic number plate recognition) evidence, mobile telephone and cell-site evidence, as well as in cases involving evidence of large-scale graffiti damage to transportation networks..
Henry’s practice in regulatory crime has led him to specialise in food safety and hygiene regulation, environmental offences, and in Housing Act and planning prosecutions, such that he receives regular instructions in these areas. He is known for his wealth of experience in toxic waste cases, and is also very familiar with enforcement notice, smoking ban infringement and unlawful advertisement cases. His Court of Appeal and other appellate work has included cases of aggravated burglary, confidence fraud, robbery, drugs supply, and abatement notice breaches. He is adept at drafting applications to the CCRC. Henry is experienced in matters of police misconduct, and is appointed to sit on misconduct panels for nine police forces across the country. Henry is also familiar with the regulatory framework of other professional regulators. In 2017, Henry was added to the Serious Fraud Office panel of approved counsel. R v JV & BV (‘Operation Britwell’): Henry prosecuted a father and son charged with possessing over 22kgs of ketamine and mephedrone with intent to supply, valued up to almost £500,000. Henry secured unanimous guilty verdicts on all counts. R v Jomana Rahal  EWCA Crim 1779: Henry appeared for the Respondent local authority in this case in which the Court of Appeal reiterated the principles to be applied by courts when considering applications for prosecution costs, especially in cases involving multiple defendants and two counsel for the prosecution. BCC v UA and RA: Henry secured convictions across-the-board in this case concerning the prolific dumping of used tyres on country lanes in rural Buckinghamshire. BCC v RT: Henry prosecuted at trial a former Council employee charged with burying tonnes of asbestos waste in a cemetery. R v LY & Ors: Henry defended in this lengthy case of conspiracy to commit violent disorder, which involved an incident of large-scale gang violence, the brandishing of metal bars and golf clubs, and culminating in the stabbing of a youth. LBN v MOI: Henry prosecuted a defendant charged with social housing fraud. The evidence included false birth and death certificates and a false affidavit, all submitted to the local authority to bolster a claim for social housing. R v EM: Henry represented at trial an Albanian man charged with importing cocaine worth over £250,000 into the UK. LBN v DM & LPSL: Henry prosecuted a landlord and lettings agent who were charged with 114 offences under the Housing Act 2004. L.B.Newham v Denvil White  Divisional Court: Henry successfully appealed by way of case stated against the magistrates’ acquittal of a defendant charged with breaching a noise abatement notice. Beatson LJ affirmed the test to be applied in determining whether a statutory nuisance existed in breach of an abatement notice. R v Dean (Simon)  EWCA Crim 609: Henry appeared in the well-publicised case of the ‘Help for Heroes’ fraudster. The Court of Appeal considered the sentence passed and made remarks on the sentencing of those who pose as charity workers to commit burglary and fraud. R v JF and Another: Henry acted for the alleged ringleader of a criminal gang conspiring to defraud online retailers through the extensive use of fraudulent credit card details obtained from Canada, following an international Police investigation. R v AT: Henry defended at trial a taxi driver charged with dangerous driving in an alleged road rage attack. The client was unanimously acquitted by the jury at the Old Bailey. Henry was described as “fantastic” in an article in ‘Taxi’ magazine. LBL v AO: Henry represented a defendant charged with selling toxic peanut butter imported from Uganda. R v RMS: Henry’s client was acquitted by the jury of multiple counts of sexual assault, allegedly committed by a private tutor in serious breach of trust. R v GJ (‘Operation Fashion’): Henry represented a well-known graffiti artist charged with multiple counts of causing graffiti damage to London Underground and railway carriages, following an extensive and international Police operation. R v MT: a defendant charged with the rare offence of causing bodily injury through “wanton or furious driving” was acquitted after a long trial which involved live expert evidence concerning the mechanics of injury and associated collision damage. Henry has appeared in many cases involving collision damage experts, including a number when acting on behalf of British Telecom, such that he is adept as handling expert evidence in this area. R v PWC and Another (‘Operation Regent’): Henry appeared as junior alone in a lengthy trial arising from ‘Operation Regent’, concerning the conspiracy to commit robbery of cash-in-transit deliveries across South East England. BCC v PJMS: Henry successfully prosecuted at trial a Defendant who dumped drums of toxic chemicals in protected woodland. R v CB: Henry represented a Defendant prosecuted by the DWP for possessing criminal property, namely stolen and adulterated benefit cheques. The accused was acquitted after trial on all counts. R v Antonio Louzada  EWCA Crim 2520: Henry appeared before the Court of Appeal (Criminal Division) representing an Appellant who appealed against a sentence of three years’ imprisonment for robbery. The Court of Appeal allowed the appeal, quashing the original sentence and substituting it with one of two years’ imprisonment. R v LT & Ors (‘Operation Basil’): Henry represented one of eight defendants charged with conspiracy to supply Class A drugs following ‘Operation Basil’, an extensive undercover operation into a notorious drugs supply network. 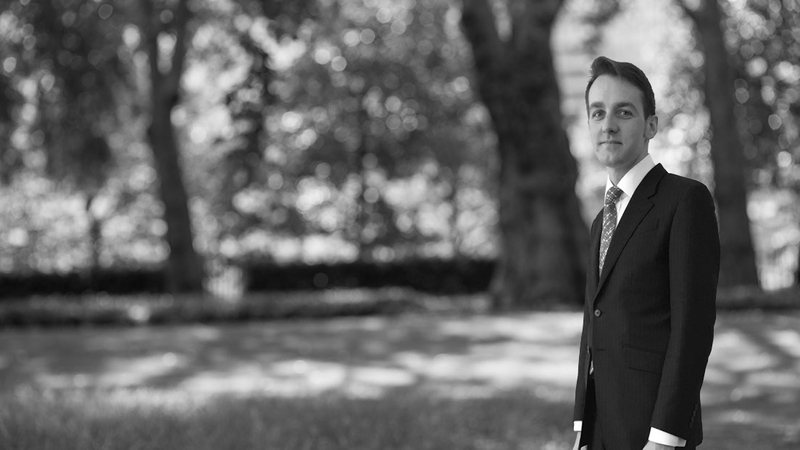 R v MT and ED: Henry successfully secured the acquittal of two defendants charged with causing extensive graffiti damage to the London Underground, in a long case involving live expert evidence from an industrial paint expert.